Byredo founder Ben Gorham carries around a notebook to jot down inspiration for new scents - anything from travels, poetry and music can spark an idea. 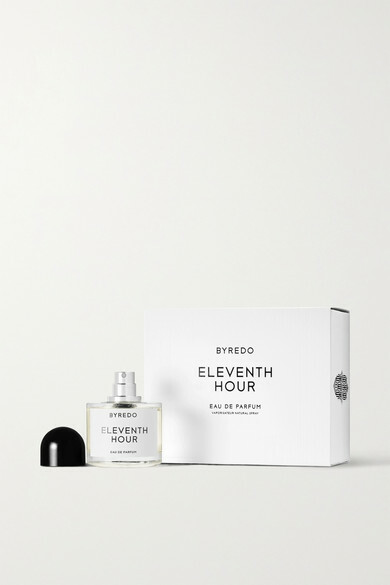 This 'Eleventh Hour' Eau de Parfum is what he thinks the last scent on Earth would smell like. It opens with Bergamot and Sichuan Pepper before releasing heart notes of Wild Fig, Carrot Seed and Rum. The Cashmere Wood and Tonka Bean base lingers subtly on your skin.